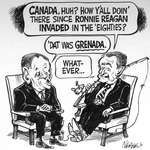 Steve Nease Editorial Cartoons: "'Dat was Grenada"
Steve Nease Editorial Cartoons: Maybe I should stick around? 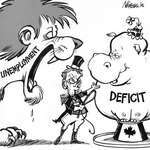 Steve Nease Editorial Cartoons: It's Like 'Dis! 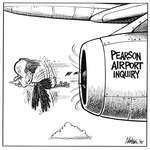 Steve Nease Editorial Cartoons: Anybody Got A Quarter?